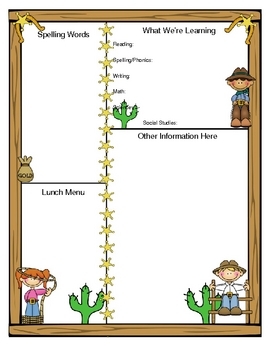 This is a two page Western themed template for a classroom newsletter. The file is to be opened in Microsoft Word. 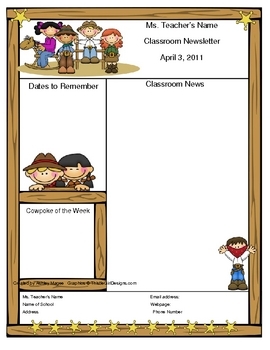 Click inside the text boxes to add your classroom news! Box titles can be edited to fit your needs.